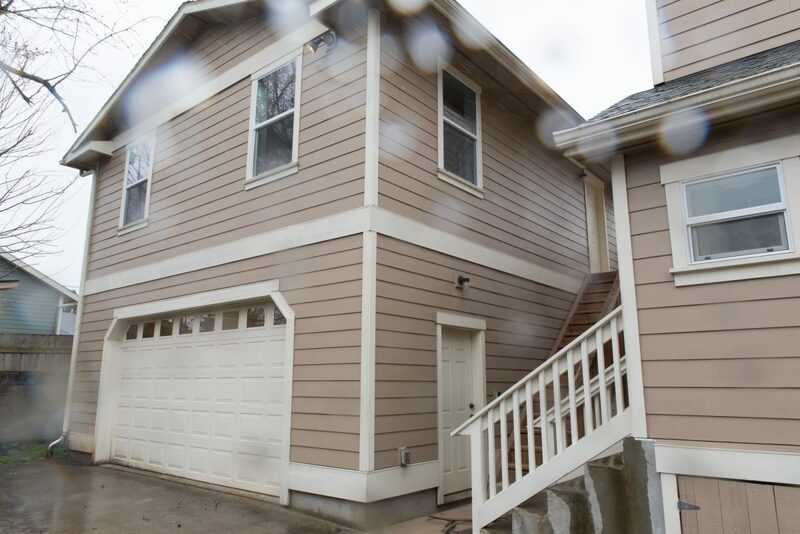 We converted this unfinished storage space above a garage in North Portland into a one-bedroom rental apartment that provides the homeowners with extra income. We managed all aspects of this remodel, from running a new water line to finishing the plumbing and wiring, and the result is a good-looking, durable rental unit, completed under budget and ahead of schedule. We worked with off the shelf components to create a welcoming and affordable kitchen, complete with a large pantry, granite counters, and an under-mount sink. In a small apartment like this every inch matters, and we worked to build in storage while keeping the space as open as possible. A built-in bench with shelves and hooks provides a compact landing zone near the entry. Barn add visual interest while also saving space, and the stacked washer and dryer tuck into a small closet.